"A quilt, sunshine, and loads of snuggles. 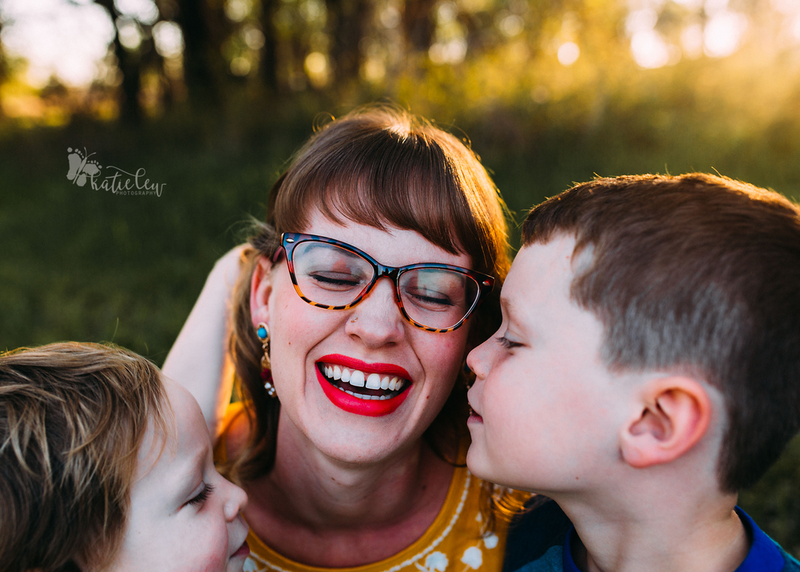 Motherhood sessions are meant to embrace EVERY moment with you and your children. From those fun tickles to those sweet, gentle kisses. Sessions are 20 minutes long and will take place just before sun down. I will coordinate with you on outfits beforehand. You get printing rights to at least 10 digital images. A $50 non-refundable deposit is due upon booking and $100 is due the day of your session." Let me capture those true, honest moments. Because Motherhood looks beautiful on you. Now let's talk about this GORGEOUS mama and her sons. I work with Jamie at Dragonfly Village. She is the Licensed Massage Therapist. She specializes in Prenatal and Postpartum Massage, Swedish massage, and Reflexology. I have yet to try out her services, but I will be soon, and I'm excited. Jamie has such a gentle, but fierce spirit. I have loved getting to know her a little better over the last few months. I knew she would be the perfect person to be the model for this session. We arrived at the session, and once the light reached that perfect point in the sky, we got started. We laid a beautiful old quilt on the ground, kicked off all our shoes (mine too) and began to play. Jamie has two awesome sons. And they loved playing and loving on their mama. We played tickle wars and ran around mama while she tried to catch them. We hunted for cool plants, and took some piggy back rides. It was such a joy watching Jamie mother her two boys. I had asked her ahead of time to be thinking of things that were special between her and her sons, and watching those sweet moments unfold was truly wonderful. I snapped away like a mad woman trying to capture every moment. 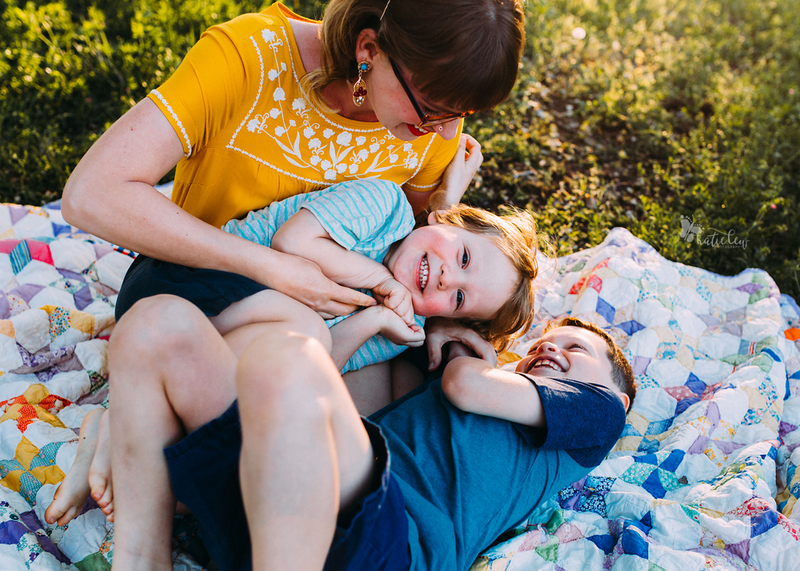 Thank you so much Jamie for letting me photograph your Motherhood. It is beautiful. Here are my favorites from my time with Jamie, Oliver, and Peter. 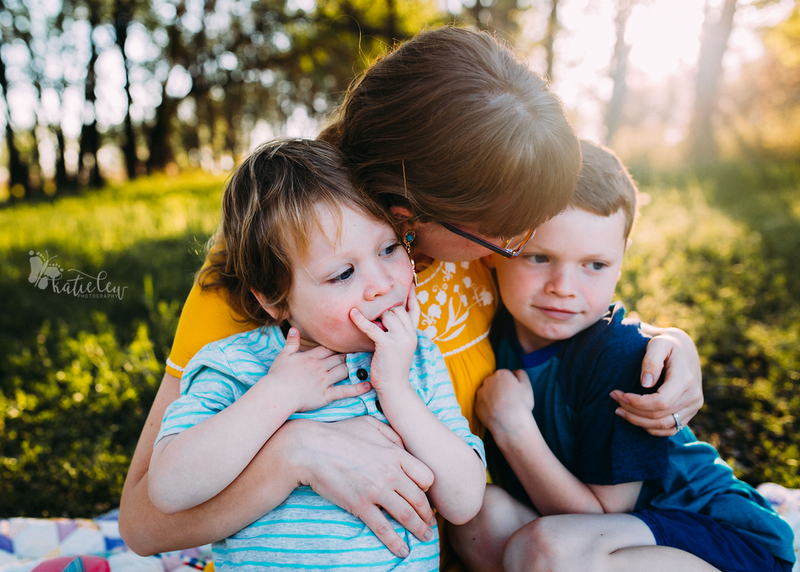 If you're interested in booking a Motherhood Session, contact me here.